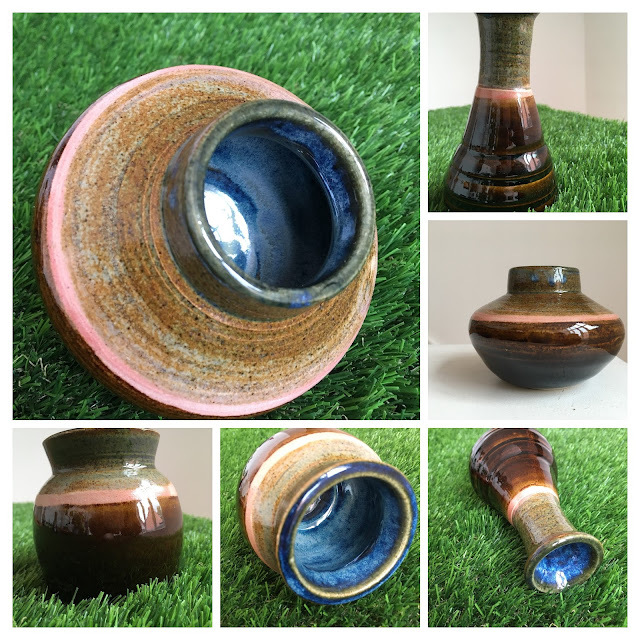 For my fourth series of pots, I aimed at being more 'daring' with the glazing. This ended up meaning that I used darker glazes. And again, I did not get the effect I was aiming for. This being said, I think I'm getting better at throwing interesting shapes.